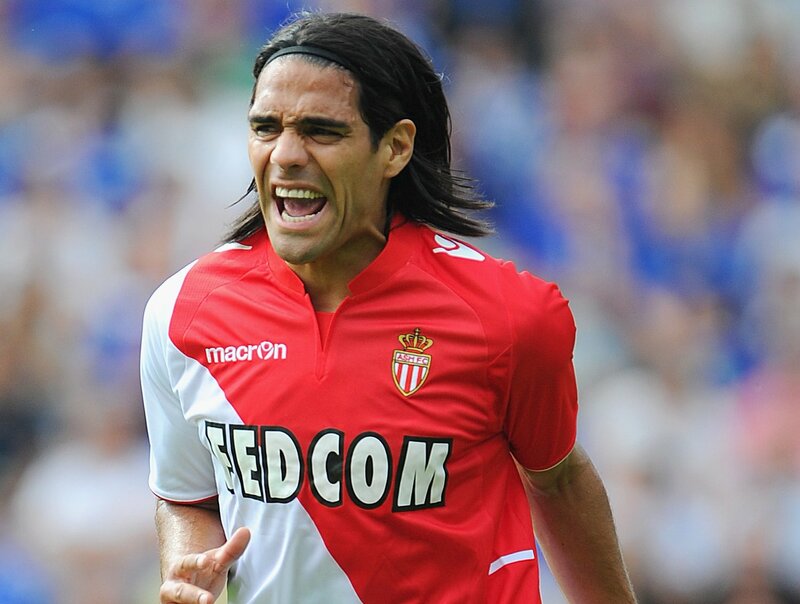 Home › news › England or Spain for Radamel Falcao? ENGLAND ! England or Spain for Radamel Falcao? ENGLAND ! The Colombian star, neither suspended or injured watched the clash of his team, AS Monaco versus LOSC Lille , wearing a smart suit, from the executive ‘s area seats, with vice-president, Russian Vadim Vasilyev and his agent, Jorge Mendes. After announcing his future departure from “Le Rocher” several times during the summer window, he’s more than ever on the move; England or Spain ? The answer will be known very quickly as the Summer Window is set to close in 24 hours. French tv showed images of him walking on the pitch, his i-phone glued on his ear, then having a conversation with Luis Campos, Monaco’s sporting director, before going to sit and watch the game. Watching this , everyone had one only question in mind: England or Spain? Monaco’s public relations stay mute; silence seems to be in order for the club’s employees . Current Head Coach, Leonardo Jardim, declared that Falcao is not fit to play but refused to give any details. El Tiger‘s teammate, Layvin Kuzawa declared (tongue in cheek) that eeerrrrr… his knee is a bit painful, lol ! Only Ricardo Carvalho, admitted that they’ll have soon details on the player’s destination. Would that be Valencia FC because of the club’s announcement, that they were going to sign a “Bomba”? Would it be England’s Premier League and millionaire Manchester City? There are many rumors, quite reliable, sending him to join England’s Champions, but not the only ones, though; Manchester United is on the list, too. So Manchester or Manchester? Latest information about the winner? Stand-up Manchester United ! The colombian forward will be on loan for a year + 10M Euros and a buy option of 55 M euros. What a clever way to avoid Michel Platini’s cherished “fair-play”! Whatever is going to be, the question remain: Monaco is set to lose their two world-class players, Jame Rodriguez, already gone and now the 60M euros transfer fee, is on his way out, too. ASM’s owner, Russian multi-millionaire Dmitry Rybolovev, is a businessman and hates loosing money. Letting go his best players, can that be the start of his lack of involvement and that playing football doesn’t amuse him, anymore ? ‹ Benjamin Stambouli : Levy’s last minute suprise ?